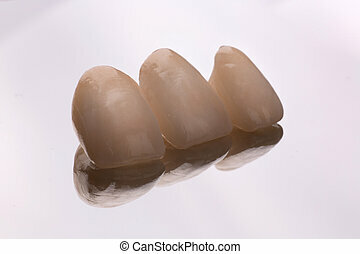 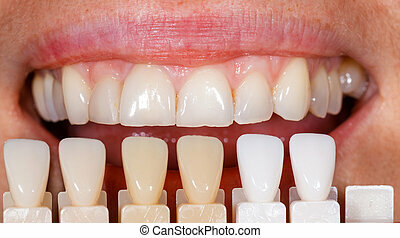 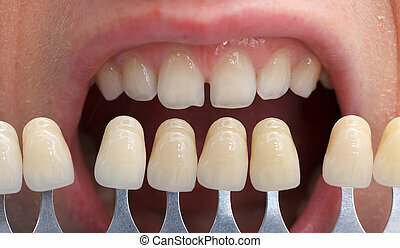 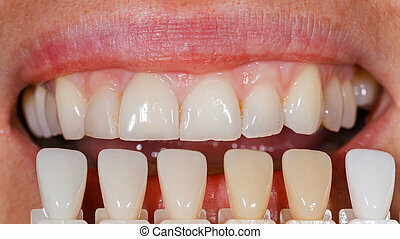 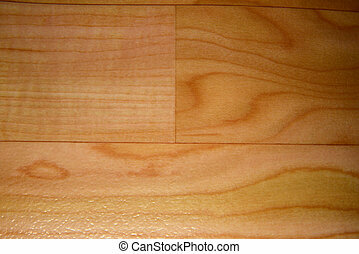 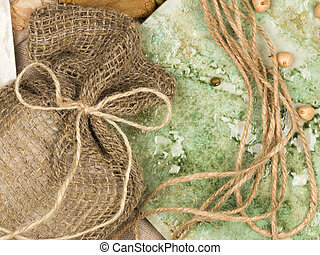 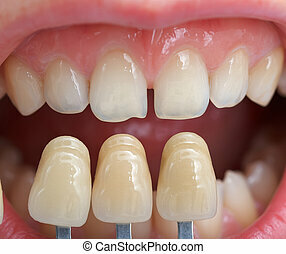 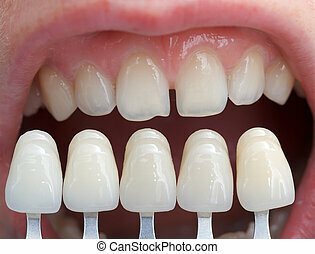 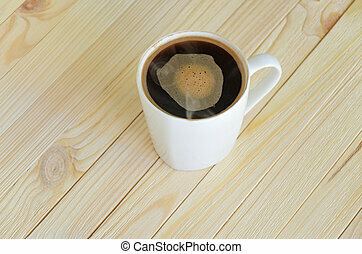 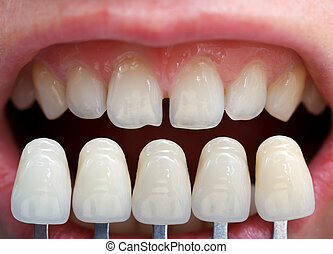 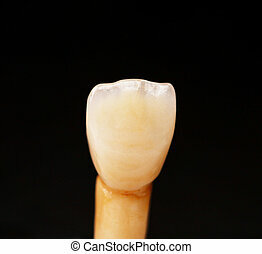 Ceramic veneers. 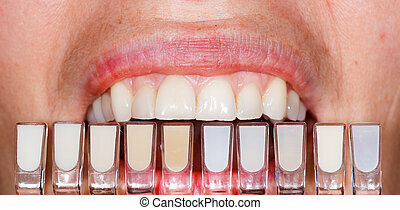 Aesthetic ceramic veneers on the front teeth. 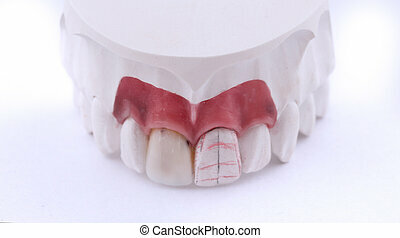 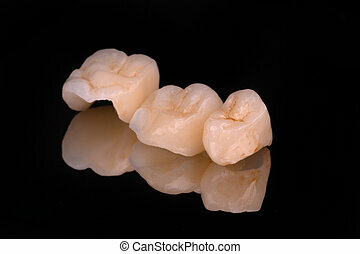 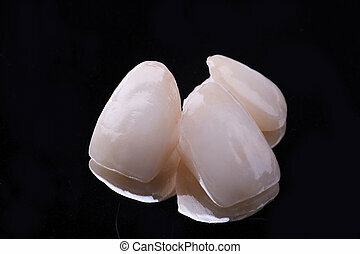 Wax pattern teeth dental crowns on model, metal free - front view .Ceramic front veneers isolated on black background. 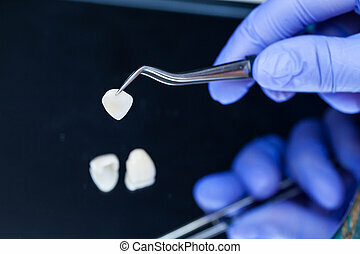 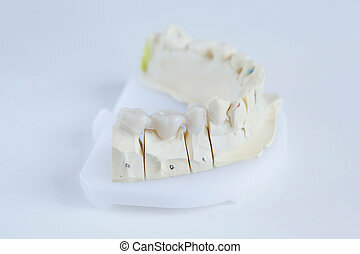 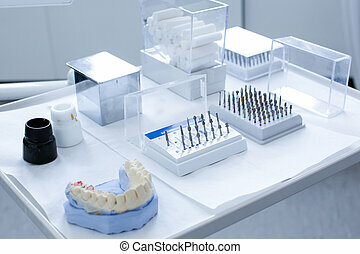 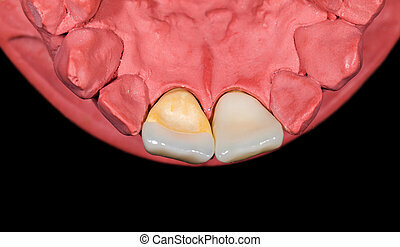 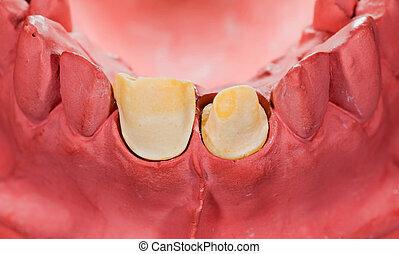 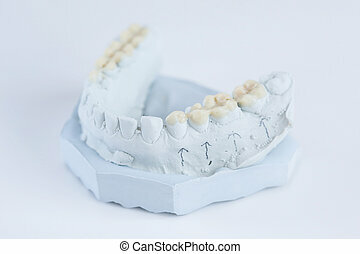 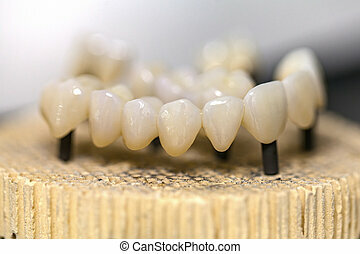 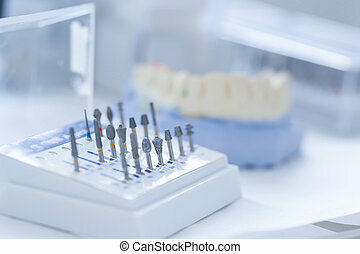 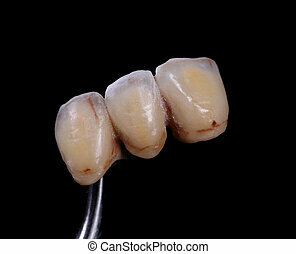 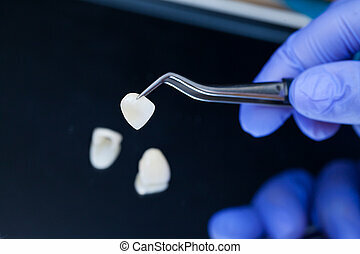 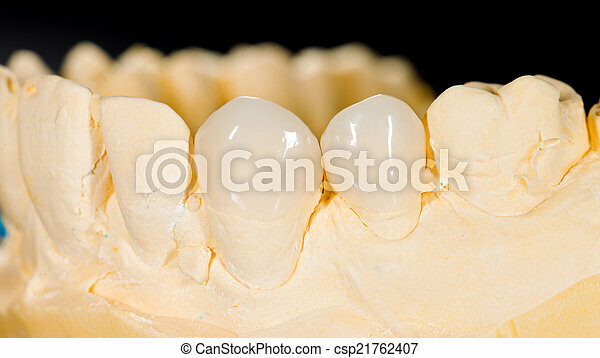 Metal-Ceramic crowns on gypsum model in dental laboratory.